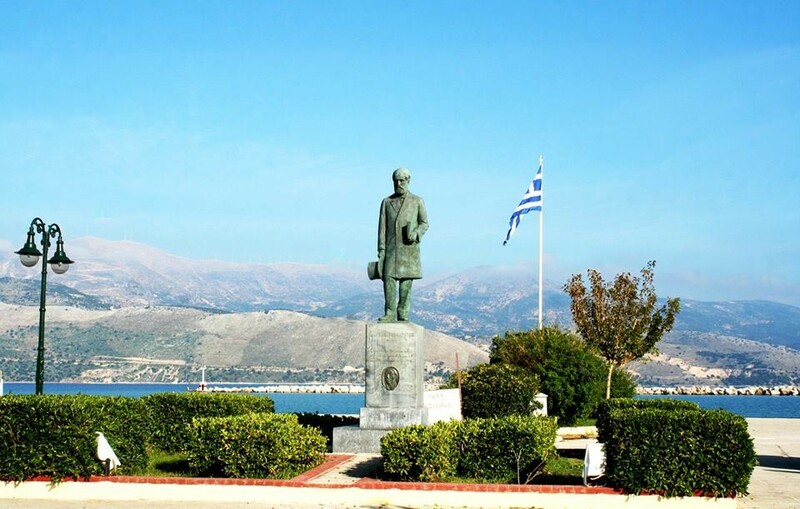 The statue of satirical poet Andreas Laskaratos is situated on the beach of Lixouri and it constitutes the hallmark of the city . 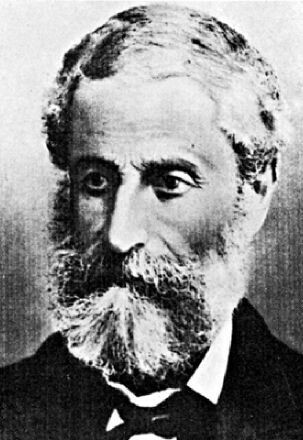 Andreas Tipaldos Laskaratos was born in 1811 in Lixouri. As he came from a wealthy family, he had the opportunity to study law at the Ionian University. But he did not follow the profession he studied but he followed his calling in writing: besides the great poetic work, he worked as a journalist, writing usually libels. Result of rebellious life and action – he always commented the hypocrisy of politicians and religious authorities – was that he was excommunicated from the church and forced to live in exile for much of his life: Zakynthos (where he issued the newspaper “Lychnos”), London, Corfu are just a few stations. He never forgot Kefalonia as despite the war that existed against him in his homeland, he always came back here. He also married Penelope Korgialenia from Kefalonia with whom he had two sons and seven daughters. He died in Argostoli in 1901. He remained famous for his caustic satirical poems and he is recognized till today as the premier sample of this type of writing , but also for the rebellious spirit, that at any stage of his life refused to compromise. 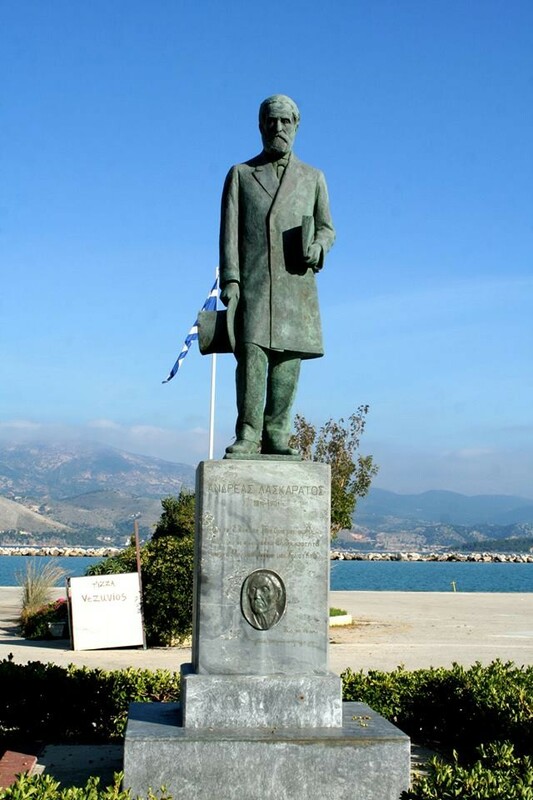 He is recorded as one of the smartest people of Kefalonia and one of the major poets of modern Greek literature. The bronze statue of Laskaratos was created by the sculptor Thanassis Apartis in 1961. The fact that it is fitted with such direction that looks to Lixouri, having turned his back to Argostoli, symbolizes the “eternal conflict” between the two major cities of the island.